Desc: 14 karat yellow gold Banded Agate cameo pendant. 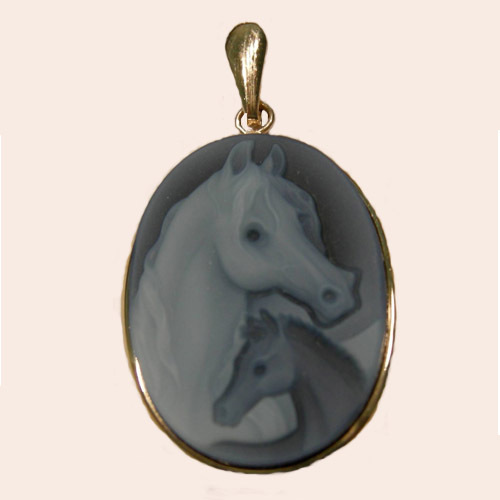 The Banded Agate Cameo depicts the heads of an Arabian mare and her foal. The pendant is a plain mounting with an oval bale.